I did a few other sport mashup concepts before, but thought i would get into the MLB and do some hockey uniforms for those teams. I got a few done already, just wanted to see what you all thought. Hoping to slowly make my way through the whole MLB. I am hoping to do a home/away and possible alternate for each. I like doing the alternate where it is influenced by a throwback look. So far I have done the Toronto Blue Jays, Milwaukee Brewers and 1 throwback idea for the Pittsburgh Pirates. For the Brewers I did 2 versions, one with the older Navy/Yellow look and one with their Navy/Metalllic gold look. Also, let me know if these images work. Had an issue last time i posted some stuff. 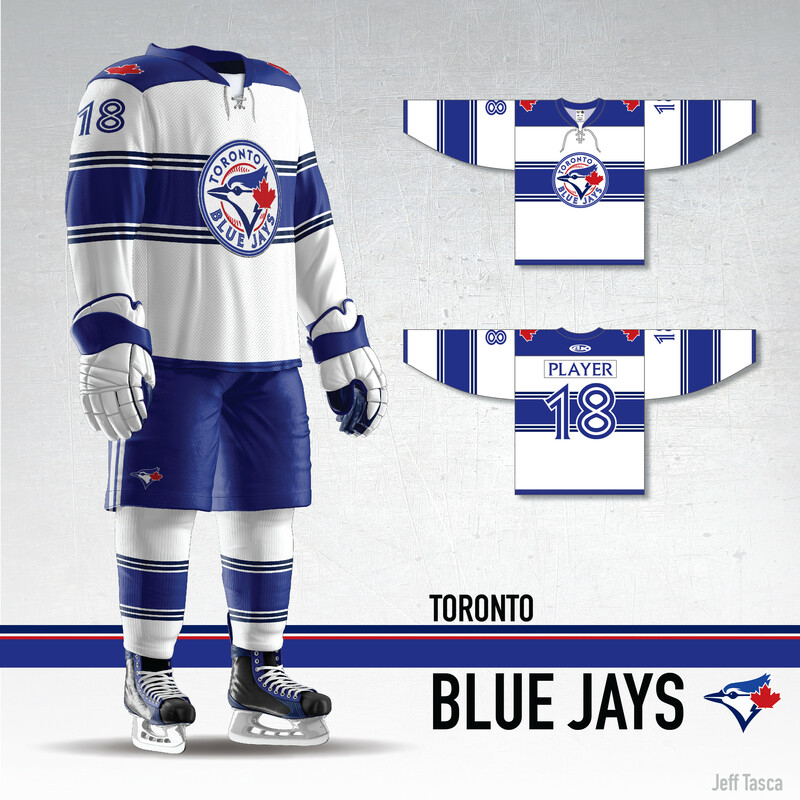 That Blue Jays throwback is stunning. That works so well. The only two suggestions I have is to lose the phantom yoke piping on both of the Brewers’ blue sets, and maybe do the “P” or one of the old Pirate logos on the front of Pittsburgh’s instead of the wordmark and number. Other than that though, this is really good stuff. This is really great stuff! Beautiful presentation too. With the Jays' set, I'd probably stick with a regular varsity block font for the NOB. And the combination of the big stripe and the inline numbers on the back might be a little too much; they're kind of fighting with each other. Maybe the stripe can be on the front but not on the back, like the Florida Panthers? But the throwback is stunning. The Pirates jersey is beauty, too. Love the subtle nod to the pillbox hats in the shoulder yoke. The only thing I might change is centring the front number under the wordmark for a collegiate hockey feel. Though I understand why you did it the way you did. 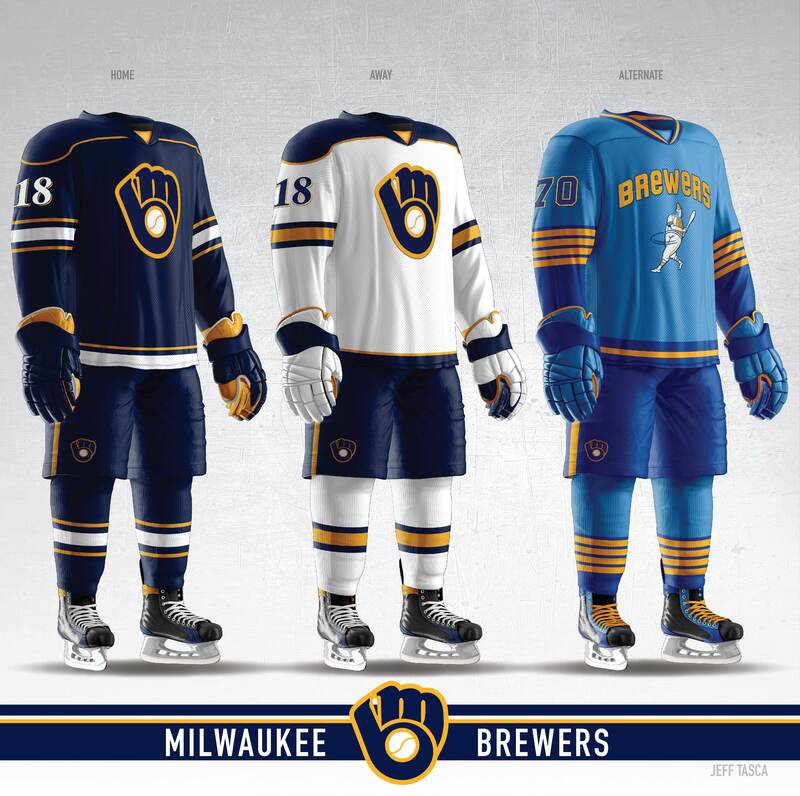 The Brewers set is pretty much perfection. You could work in one of their 'M' logos with the wheat stalk (either with the outline of Wisconsin behind it or not) as a shoulder patch, but that might be six of one and a half dozen of the other. I agree that the Blue Jays' chest stripe should probably be front only, as the Jays' number font is fighting with it in the back. 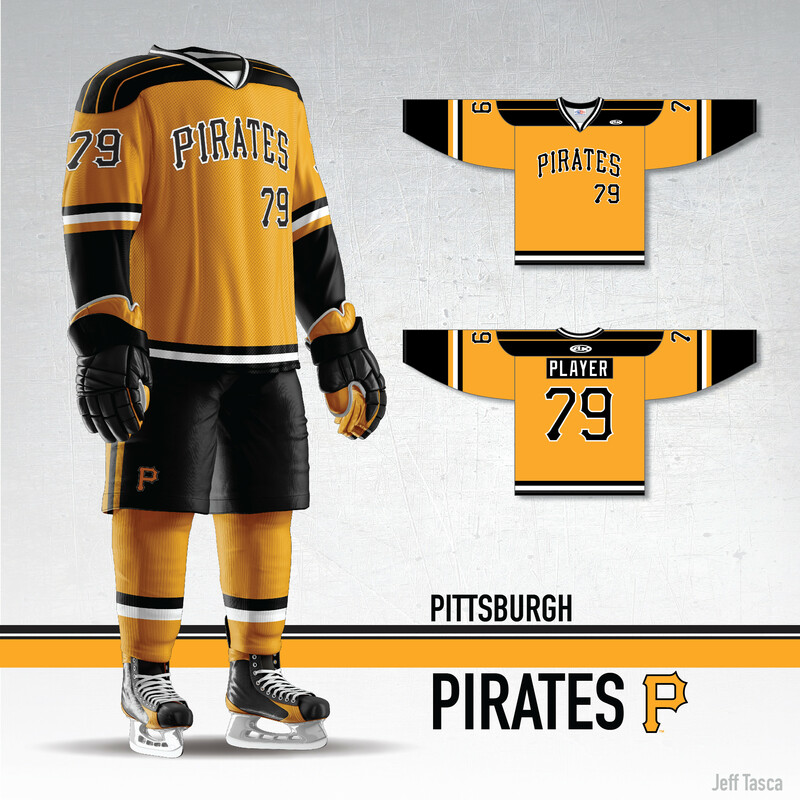 I also agree that for the Pirates, I'd center the number for a more collegiate feel (think BU Terriers). One nitpick I have is that since these are hockey uniforms, having baseballs all over them is a little odd. I'd work on trying to remove any of those. That means that for the Brewers, the wheat stalk theme would work better than the ball-in-glove. That said, you've got a great start to something spectacular, and I can't wait to see what you do with the Red Sox. If you changed the Brewers concept to the barrelman or the modern "M," I think it would work perfectly for the NHL. 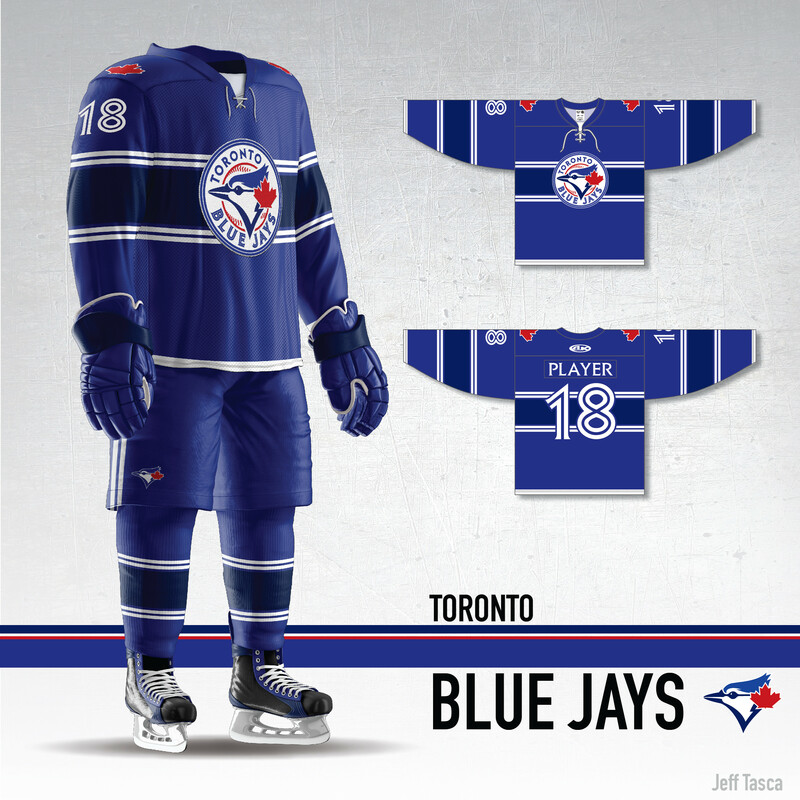 The way it is now is fantastic, but it just looks weird seeing a ball-in-glove logo on a hockey jersey. 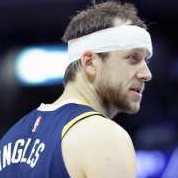 Maybe a hockey version of the Barrelman. Thanks all... will see what i can do with the rest. Thank you for the feedback. Some updates. Now have all 3 jerseys for Milwaukee Brewers. 3 slight variations for the throwback alternate. Next i am doing a home/away for the Pirates to go with that throwback alternate. Great stuff! I’d love to see more of these. 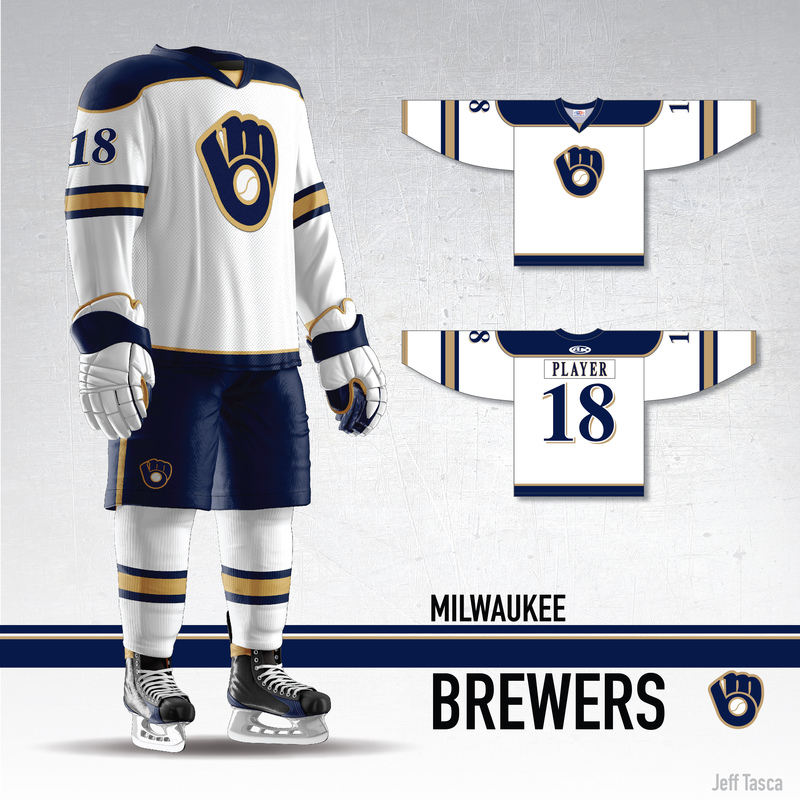 Well, that goofy Brewers font at least looks better on a hockey jersey. 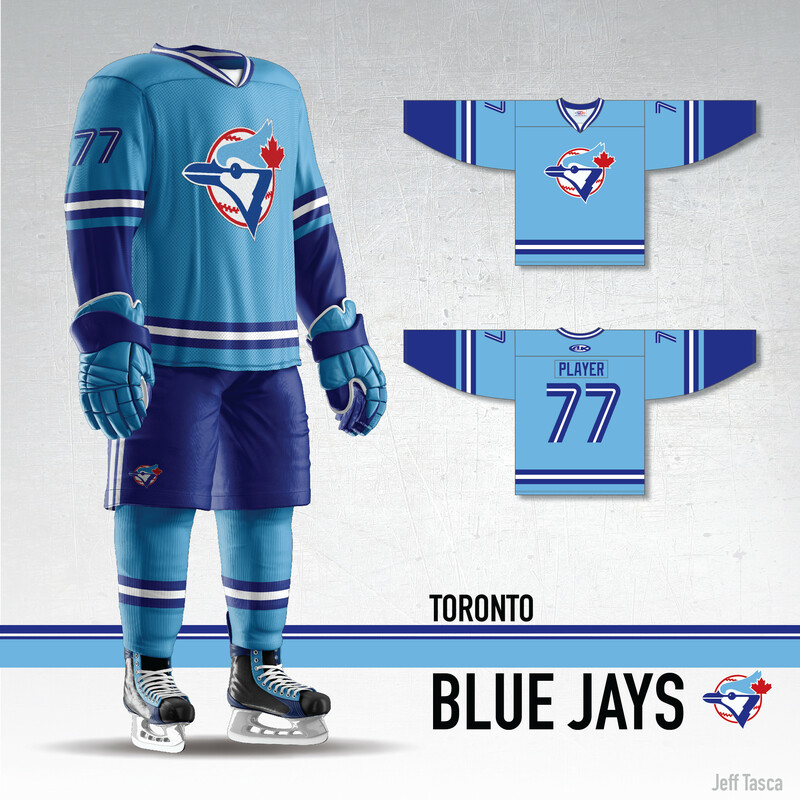 I would like to see the powder blues based on the 1982 roads though. That look lends itself to a very classy collegiate look; which is perfect for Wisconsin, where the Badgers are the biggest hockey tradition. Apples and oranges. You're showing a sponsorship logo and comparing that to the main crest of a hockey sweater. I know, but the irony was too good to pass up here. He he he... thanks all. Been a bit busy lately, but hope to be back on this soon and posting the newer concepts.